I’ve been working for the past few days on the hallmark reference chart for The Peterson Pipe: The Story of Kapp & Peterson, and so it comes as a relief tonight to stop and simply admire the silverwork the date letters represent in a short piece of video magic courtesy Smokingpipes.com. If you’ve ever taken a minute to examine Peterson’s silverwork under a loupe, you know something special is going on. They don’t just pull a band out of a box and loop it over the shank. Each piece is hand-turned and involves numerous operations. You might think going to the factory would help you understand the process better than a video, but that isn’t really the case. There’s so much going on, what with lighting and noise and machinery and trying not to get in anyone’s way. I can testify that this is a gem of a piece, letting us get up close to the work in a way I couldn’t, despite two visits to the factory. The Peterson spigot story is an interesting one, told in the book through both the company’s history and interviews with its current and retired artisans. I won’t spoil it for you here except to say it goes back almost to the company’s beginning, then was lost to the tides of fashion for over fifty years before making a slow but steady comeback in the last decades of the twentieth century. While the System pipe may be in decline, the spigot certainly is not, so much so that it’s become the visual icon for the company’s twenty-first century profile in much the same way the System pipe was for the twentieth century. The Craftsman Line spigots have obviously been a great success for the company, leading the way for the new Caramel (or “Champagne”) Spigot line just now hitting e-tailers in the U.S., and the promise of the Roundstone Spigots to come. If you don’t have one, there’s never been better time. Very cool, I had not seen this video previously. I was impressed how the inside of the bowl is polished, a nice touch. 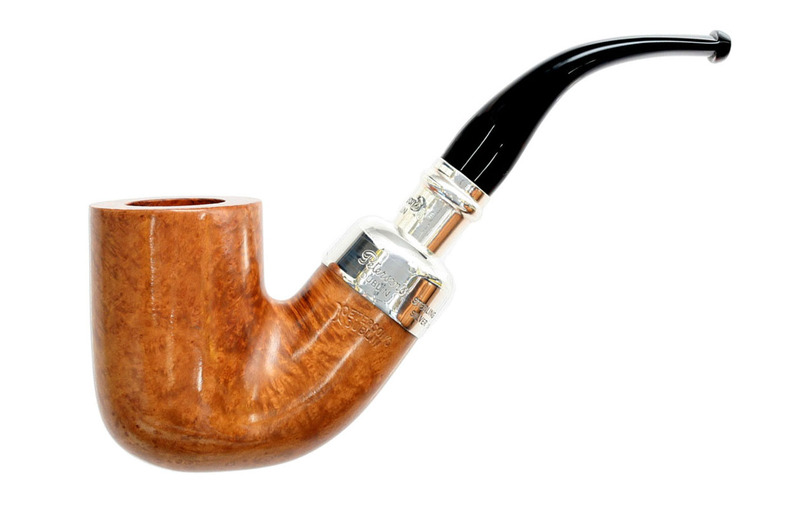 I still have yet to find my first Peterson spigot, but it is on my list. Wonderful video. thanks for sharing! I have several silver spigots in my collection and like each and every one. Tom, I have 3 of them myself and was wondering if you’d share your smoking experiences. They don’t smoke like either my Systems or my straights. The draw on all of them seems really open. Just different, I suppose, from my other Petes, but thought we might compare notes. Thanks for not spoiling it for us to wait for THE BOOK to learn more about the spigot history. Any idea when we can get it in out hands? Please don’t say Jan. 2017! You are one of the great supporters of this blog, Mark. Your humor (!) is always appreciated. I’m home for the next 5 weeks mostly working on the book. My wife says the layout & design will be done by the end of August. That ends the project for us, and the book goes to press. What this means — according to the publisher — is that the book will be ready um, er, in the 2nd month of the new year. Notice I didn’t say “J– 201-“! I did just finish the graphics, layout & design on the hallmarks chart, and it’s killer, if I may say so. Really cool. It’s way, way better than the one you’ve probably been using from the old Smoker’s Guild which contains quite a bit of misinformation.